This site includes affiliate links. See my full disclosure. These are some products that I have personally tried and loved time and time again. I use them often and buy them as gifts. I'd be happy to answer any of your questions about them. You can email me or message me on Facebook. Deseret Bookshelf Plus is something my whole family loves. We listen to the youth talks, novels, books from the prophets, and more. I frequently listen to this while I'm working and especially during road trips. 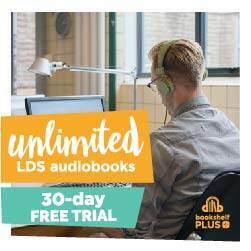 I especially love that it is unlimited Latter-day Saint audiobooks! 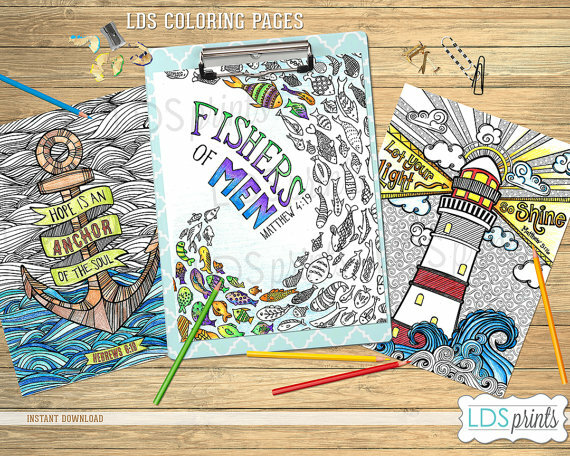 Our favorite Latter-day Saint coloring pages to use (besides my own of course) are from LDS Printable. We love the messages of them and beautiful designs. I have pretty much all their pages and have still been using them a year later. I love that I can tie them into a lesson at church or family night, color them to unwind, and hang them on my wall afterwards. Our Picnic Tree makes scripture building block sets (think Lego). They don't have a ton of sets right now but I love the ones they do have. 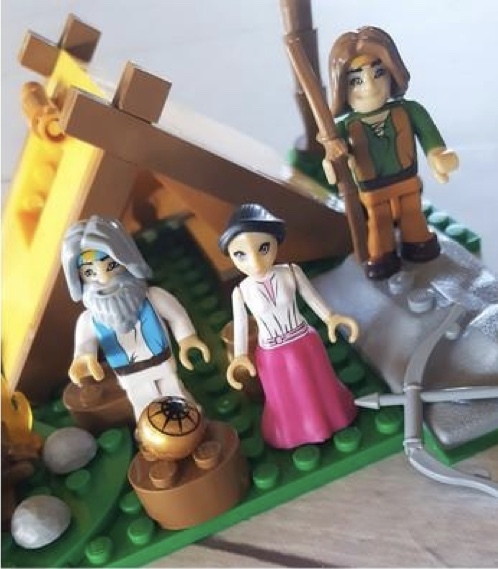 The figurines make great stocking stuffers and fit nicely inside plastic Easter eggs. Check them out and if you live out of the USA, contact them to see if you can figure out shipping. Colette from My Computer Is My Canvas always makes quality products and has something for pretty much any occasion, especially those Latter-day Saint ones like baptisms and missionaries. She has things from nugget wrappers to planners, to free printables for General Conference and Ministering so go take a look around her site. The Red Headed Hostess is another one that I love. She has great class packets, flipbooks, and scripture study journals. You can download them and print at home or get a physical book sent to you. She has things for Primary to Young Women's. Some things are better in paper form still. I love Mormon Mom Planners- the way she organizes things to keep you spiritually on track as well as organized with the rest of life is wonderful. Certain styles sell out fast so order early! When the year is over, it's a great journal to hold on to as well. I update my Amazon recommendations throughout the year too- you'll see seasonal items as well as books that go along with the year's curriculum and some products that I simply love. Pretzel Rod Bags are perfect for all my candy nugget creations. These are the ones I use. And of course I love and use everything that I've made in my Market so take a look!